The governor held the first of three scheduled meetings with Texas mayors on Wednesday — but there's no word yet on whether he'll meet with mayors from the state's five largest cities. Abbott’s office has also declined repeated requests for comment about the matter from The Texas Tribune. City and county leaders for months have criticized state officials and legislators for trying to limit how much say local officials have over matters voters elected them to decide. The 18 mayors requested a meeting after Abbott packed his call for a special legislative session with several matters usually controlled at the local level. Yarbrough and Corpus Christi Mayor Joe McComb said specific legislation that came up included bills that would require voters to approve local property tax rates if a government agency increases its collections by a certain amount and let residents in unincorporated areas vote when a city wants to annex their land. The Senate this week passed bills addressing both those matters. And a House committee on Wednesday passed more than a dozen of its own bills addressing rising property taxes. McComb said Abbott suggested state officials may open to major changes on the controversial spending cap legislation. “He did indicate they may be replacing the election with putting the authority back on the city council but with a super majority instead of a regular majority,” McComb said. 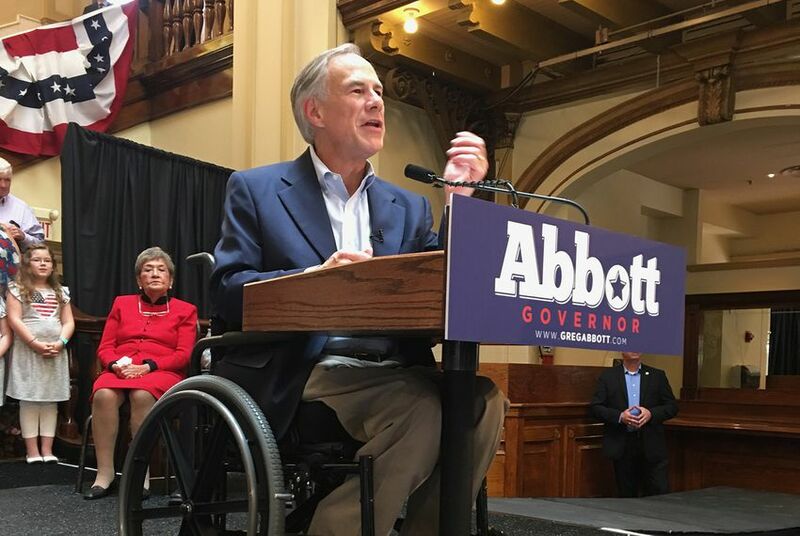 John Wittman, a spokesman for Abbott, declined to discuss details of Wednesday’s meeting but called it “productive.” The governor is slated to meet with more mayors Thursday and next week. “It was an open and frank discussion, and the governor thanked them for their shared commitment to making Texas better,” Wittman said. And while Turner said he’s “not going to lose any sleep” over Abbott not inviting him to Austin yet, Fort Worth Mayor Betsy Price is more confident a meeting will happen. “The mayor has always had a positive working relationship with the governor, and we’re optimistic they will meet soon,” said Cheraya Peña, a Fort Worth City Council spokeswoman.